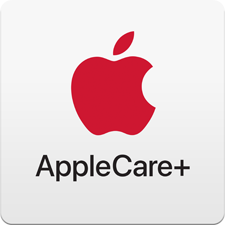 AppleCare+ for Apple Watch and Apple Watch Nike+ extends your coverage to two years from your AppleCare+ purchase date* and adds up to two incidents of accidental damage coverage, each subject to a $69 service fee plus applicable tax. In addition, you’ll get 24/7 priority access to Apple experts by chat or phone through getsupport.apple.com. AppleCare+ for Apple Watch Hermès extends your coverage to three years from your AppleCare+ purchase date* and adds up to two incidents of accidental damage coverage, each subject to a $79 service fee plus applicable tax. In addition, you’ll get 24/7 priority access to Apple experts by chat or phone. Add your Apple Watch selection to your cart. Then add AppleCare+ from the pop-up window. At checkout, ask your Best Buy Customer Specialist for AppleCare+ when you purchase your Apple Watch. AppleCare+ benefits are in addition to any legal rights provided by consumer protection laws in your jurisdiction. Purchase of the plan is not required to purchase the Apple Watch. AppleCare+ is subject to acceptance of the Terms and Conditions. For complete details, see the terms and conditions. AppleCare+ benefits are in addition to any legal rights provided by consumer protection laws in your jurisdiction. Purchase of the plan is not required to purchase the Apple Watch Edition or Apple Watch Hermes. AppleCare+ is subject to acceptance of the Terms and Conditions. For complete details, see the terms and conditions. *Service coverage is available only for Apple Watch and its original included accessories that are defective in materials or workmanship or for batteries that retain less than 80 percent of their original capacity. The replacement equipment that Apple provides as part of the repair or replacement service may be new or equivalent to new in both performance and reliability.